Purchase will enhance performance, recruitment, value and image. Missouri State University has made a big addition to the Springfield arts community. The Board of Governors in July approved a contract to buy new Steinway & Sons pianos, considered around the world as the ultimate performance instruments. Missouri State will be one of only four schools in Missouri to have All-Steinway status by June 2019. 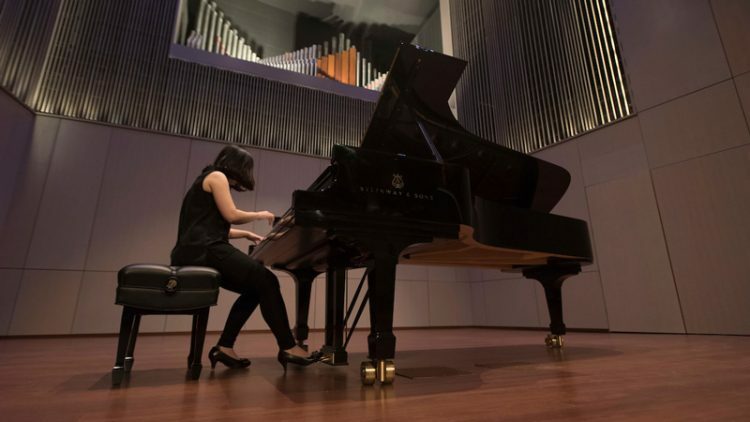 Becoming an All-Steinway school provides at least four benefits: Performance quality, recruitment, investment value, and perception and image. The university expects the purchase to have a positive effect on national accreditation, help recruit the best music students and faculty, complement Ellis Hall, and enhance Missouri State’s status as a destination campus. I am thrilled to learn of the major purchases of Steinway’s for Ellis Hall! I received my BS in MusicEd in 1955, Diploma in Piano. Teacher, Wilfred Adler. Awarded Sr. Musician of the year! Too early to be listed on wall plaques! Sad! How I would have loved to give my Jr and Sr Recitals on the new Steinway D!